HOW CAN THE JUVAURA LED ANTI-AGING DEVICE HELP ME? Marilyn MonroeTM Spas’ Juvaura LED Anti-Aging Device uses red visible light and infrared light to stimulate the cells in your skin. Unlike the harmful UV radiation found in sunlight, red light and infrared light have a longer wavelength and do not harm the skin. In fact, the light emitted by the Juvaura LED Anti-Aging Device can rejuvenate aged skin through a process called photobiomodulation. 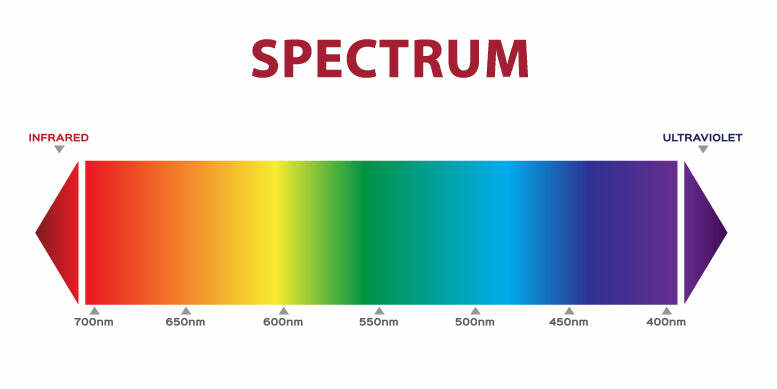 Light is absorbed by molecules called pigments. A good example is the green pigment chlorophyll that plants use to absorb sunlight in order to conduct photosynthesis. Our bodies also have many molecules that are able to absorb various wavelengths of light (we have already discussed melanin, a skin pigment that can absorb UV light). Light with a wavelength between 600 and 1070 nanometers (nm) can optimally penetrate the skin and be absorbed by pigment molecules in the cells of the skin (such as fibroblasts), eliciting the photobiomodulation response. The pigment molecules important for photobiomodulation (cytochrome C oxidase) are found in the energy-producing mitochondria of all cells. The triggering of these molecules by the LED light sets off a chain reaction of cellular processes that increase the cell’s activity. Until recently, you could only get LED facial treatment in a doctor’s office or a high-end spa. Now, with the Juvaura LED Anti-Aging Device, you can rejuvenate your skin right from the comfort of your own home. 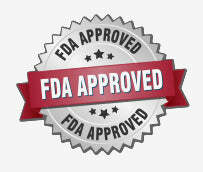 And the device is approved by the FDA! As fibroblasts are stimulated by the LED light, they increase their production of collagen and elastin fibers, resulting in the tightening of the skin and a reduction in wrinkles and sagging. In fact, one study showed that fibroblasts exposed to 630 nm wavelength light increased their collagen synthesis four-fold! Red light can also trigger fibroblasts to divide, increasing the number of fibroblasts available to produce collagen and elastin fibers. Increased fibroblast activity also correlated with an increase in the extracellular matrix of the dermis, further helping with the reduction of fine lines and wrinkles. And increased fibroblast activity has also been associated with an increased production of hyaluronic acid, further plumping up aging skin. 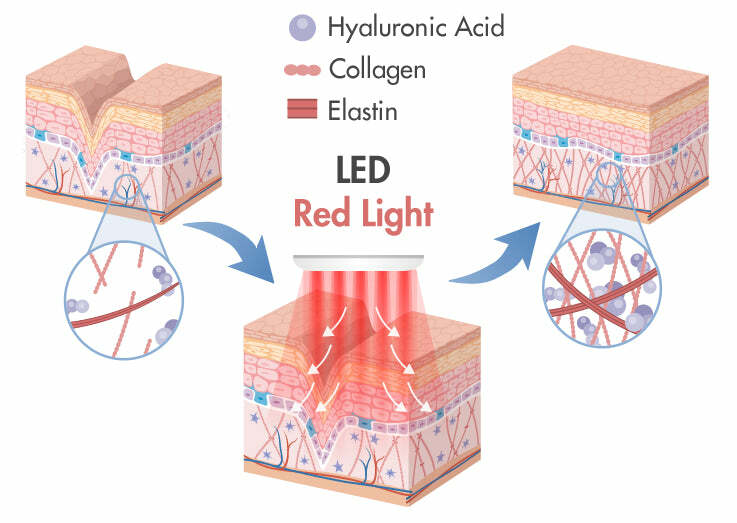 LED light can also help with the thinning of the epidermis that comes with aging. Use of LED light therapy has been shown to increase the thickness of the epidermis,. This plumping of the epidermis could help prevent water loss from the skin, helping to reverse dry skin and the fine lines associated with dehydration of the skin. LED light therapy has also been shown to be completely safe for the keratinocytes of the epidermis. Melanocytes stimulated by the LED light have also been shown to decrease their production of melanin. LED light therapy is now becoming an option for the treatment of uneven skin coloration such as age spots through its ability to alter melanocyte activity. LED light therapy has also been shown to help the body’s natural mechanisms for fighting free radicals, and treatment with LED light can decrease free radicals in the skin. And LED light therapy has been shown to increase the function of the skin’s natural immune system and has been used successfully to treat acne,. 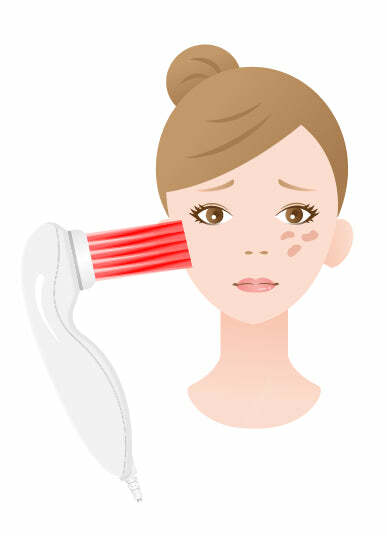 Red light has also been shown to reduce oily secretions by sebaceous glands, which can further contribute to less acne. Thus, fibroblasts are not the only cells to be stimulated by the red light and infrared light… the skin’s immune cells are likewise stimulated and can perform their jobs better. 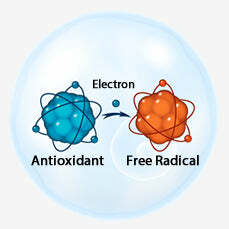 Using the Juvaura LED Anti-Aging Device along with the Juvaura Skin Care products will further enable you to keep your skin clean, hydrated, and protected from free radicals. Keep reading to see how! Ablon 2012. Journal of Clinical and Aesthetic Dermatology. Mamalis 2016. Current Dermatology Reports. Russell et al. 2005. Journal of Cosmetic and Laser Therapy. Neves et al. 2018. Journal of Biophotonics. Chabert et al. 2015. Skin Research and Technology. Mandrillo et al. 2017. Oral and Implantology. Denda and Fuziwara 2008. Journal of Investigative Dermatology. Chen et al. 2018. Journal of Dermatological Science. Nestor et al. 2017. Journal of Cosmetic and Laser Therapy. Na and Suh 2007. Dermatologic Surgery. Brownell et al. 2016. Clinics in Dermatology. Bhat et al. 2005. Lasers in Medical Science. Lee et al. 2007. Journal of Photochemistry and Photobiology. Jagdeo et al. 2018. Lasers in Surgery and Medicine.